Our 2018 MathCounts team placed fifth in the regional competition and advanced to state, the only regional non-public school to do so! They were also named the most improved team. 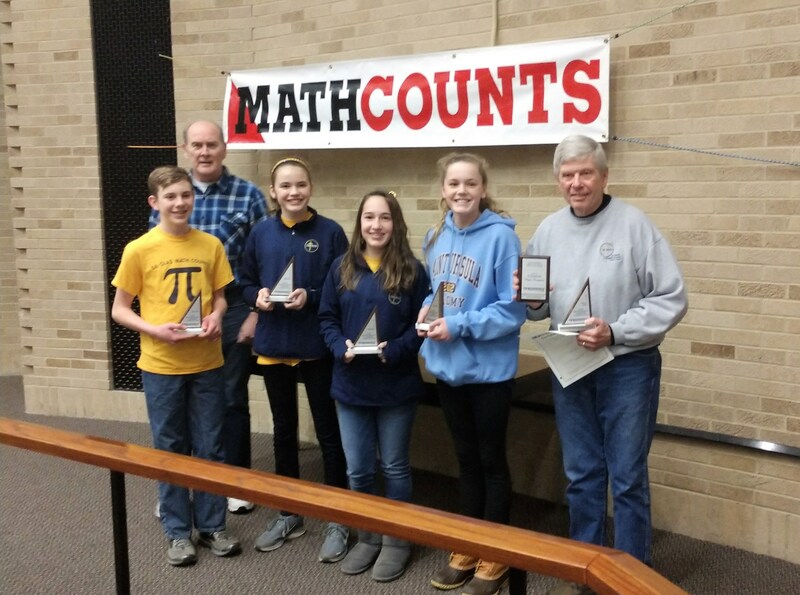 Congratulations to Coach Laudeman and our MathCounts participants! MATHCOUNTS is a national enrichment club and competition program offered at St. Andrew-St. Elizabeth Ann Seton School. It provides fun and challenging math problems for all interested students in grades 6th, 7th and 8th and is designed to advance students by using critical-thinking and problem solving skills. MATHCOUNTS heightens the student's interest in mathematics by making math achievement exciting and challenging. It builds math skills, promotes logical thinking and helps to sharpen the analytical abilities of students. The club is coached as an extra-curricular activity by Mr. John Laudeman. He works with students in year-long coaching sessions and helps the students at all levels to improve their problem-solving and critical-thinking skills. Competitions are held locally and consist of written and oral rounds, as well as team and individual components. The competition problems focus on the 6th through 8th grade standards of the National Council of Teachers in Mathematics. The MATHCOUNTS team meets on Wednesday afterschool until 3:45. Click here for the official MATHCOUNTS website.